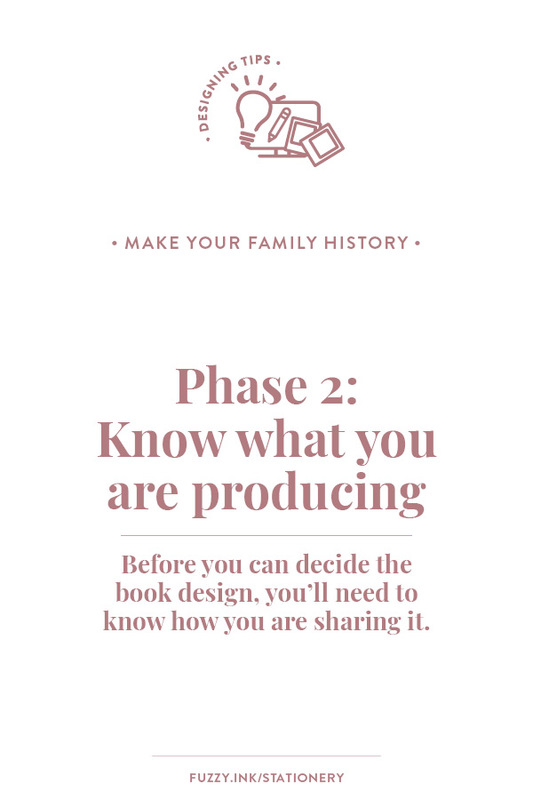 A family history book is a once in a lifetime project. It is the culmination of many years of research and will be a resource for future generations of your family. No matter the production method, you’ll want to create a legacy. Something that is on display for visitors to admire for both the fantastic stories and the beautiful design. Does that sound exactly the way you picture your family history? It’s how I imagine mine. And it’s what I wanted for the memory book I put together for Mum when she turned seventy. While I wanted to create a gift for her, I also wanted to make something that her grandchildren would keep. I had grand visions of it becoming a family treasure, the same way my Nana’s handwritten recipes are. So where do you start? 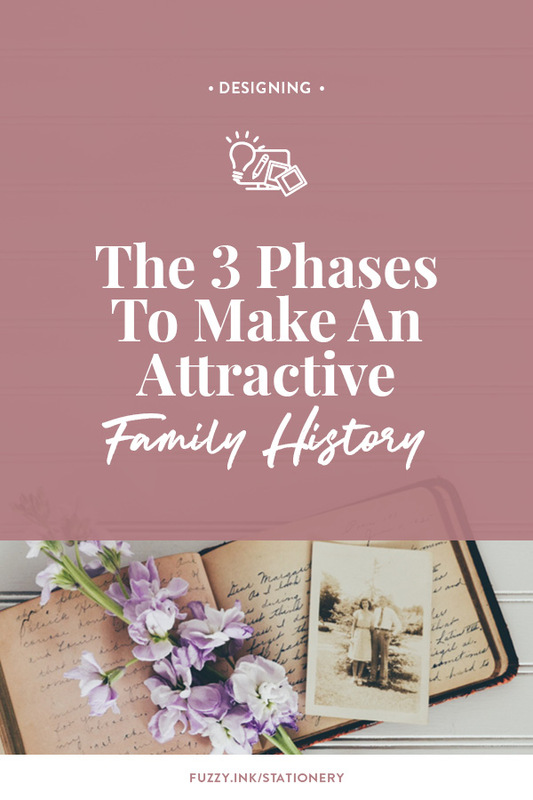 How do you create an attractive family history for your descendants? No, you won’t. It’s the least efficient process. You can’t focus on everything at once. How can you be weaving fantastic tales of your ancestors if you are stressing about image size and page breaks? 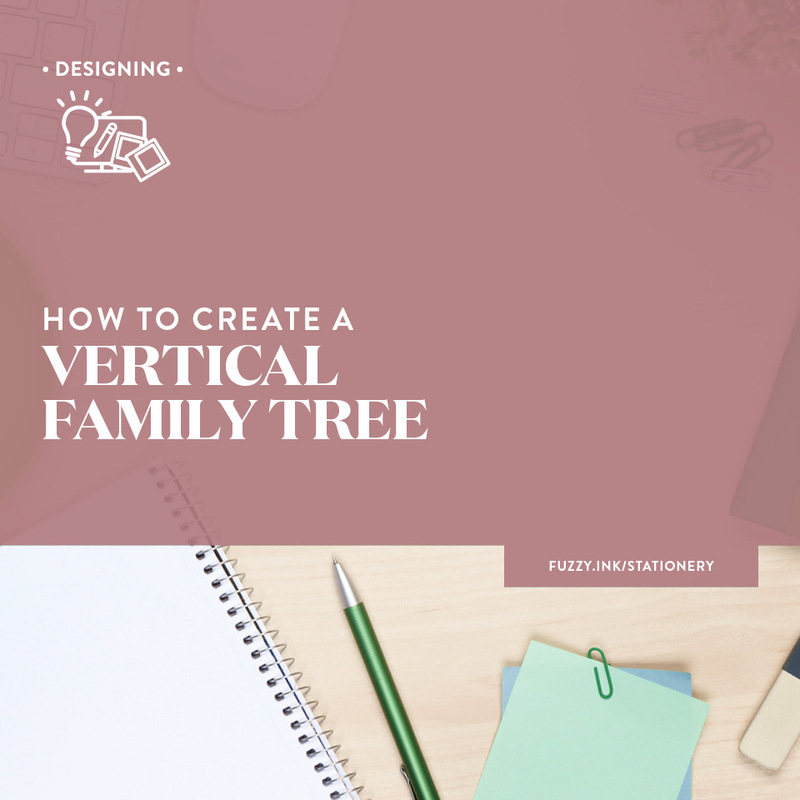 Lose yourself in only telling the story instead of juggling the book design as well. Make notes where you want to include photos, maps etc., and keep writing. Does Stephen King think about the book design when he’s writing? I’m confident that he doesn’t. His focus is the story, and everything else happens once he finishes that phase. 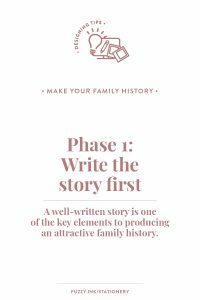 A well-written story is one of the key elements to producing an attractive family history. Perhaps but not always. 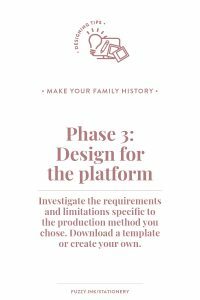 There are so many different ways that you can share your family history, and each method may require something different. 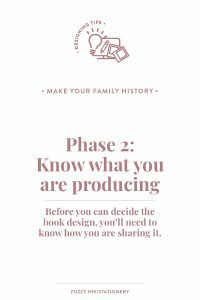 Therefore before you can decide the book design, you need to know how you are sharing it. So, what platform/s are you considering? You may choose one or more of these platforms, or you may have another idea altogether. So, before you decide on fonts, colours or image filters, determine how you’ll be sharing your masterpiece with the world. Once you know that, find out the unique requirements and restrictions of that platform. 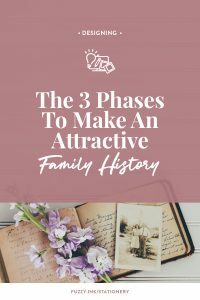 you can design your attractive family history. The next step will depend on the way you’ll be sharing your creation. Did you choose online or print? Or maybe both? Unless you have experience as a web developer, then I recommend choosing a pre-existing model as a starting point. Many templates offer flexibility so you can customise fonts, colours, backgrounds etc. The range of customisations available will depend on the web host so investigate all of your options. If you want to have both a website, a book, and remain budget friendly, then start with the site. 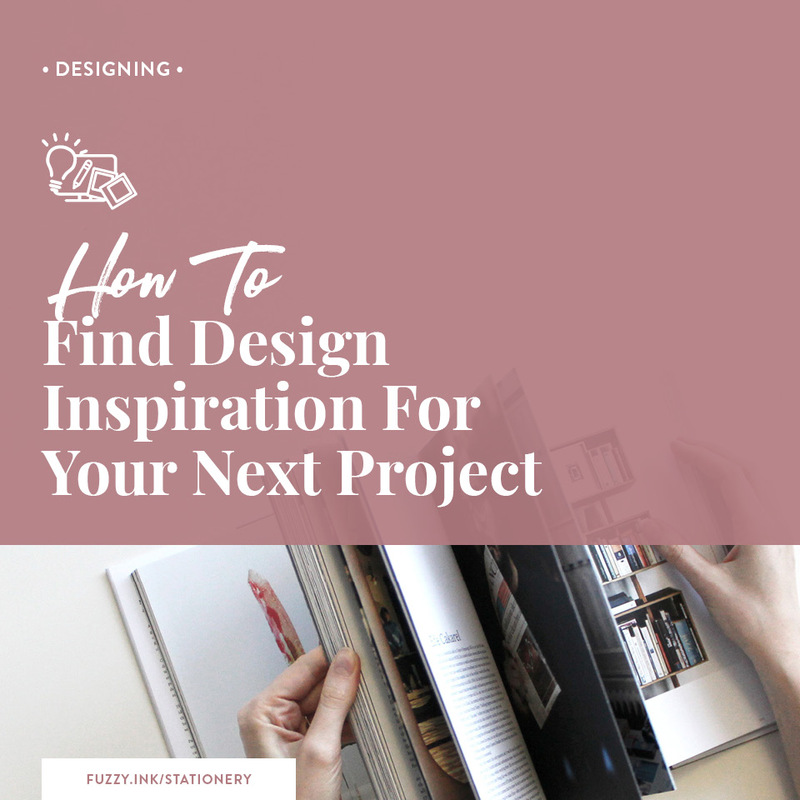 That way you can use the website template as inspiration for the book design to tie the two together. An eBook is an excellent option if you prefer to share digitally but want more design control. And most software lets you export a PDF, so you get a fixed format digital book that’s perfect for sharing. An eBook has the least amount of limitations unless you are publishing it for sale. If you are sharing via email or your website, then it can be whatever you want. To keep it printable by your audience, consider A4 or US Letter, depending on the region where you live. You can either purchase a template or create your own. If buying then look for a report or proposal template compatible with the software you have installed. Are you planning a printed copy as well? Then you create a PDF of the final print file (minus any printers marks), and it’s ready to share! 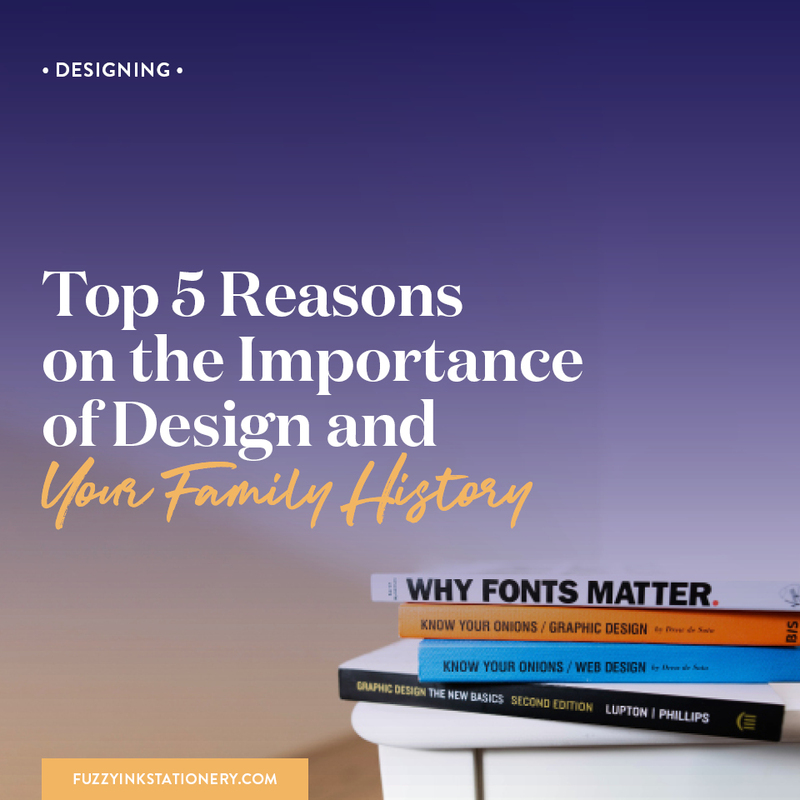 A physical, printed family history is my favourite format as it has a lot of creative flexibility. However, it’s the format with the most significant number of variables. The answers will impact your design. You may prefer not to include a lot of ink pages or have pictures running to the page edge. Will you need to add bleed? Is there a limit on the number of pages? That information will be the first step in designing your document or purchasing a template. Incorrectly setup files can cause issues in the production phase and be costly to fix. After working through the above phases all you have left to do is to add the content to the chosen format. Remember, planning matters. Start with the story. Focus on telling your ancestors tales first. Then explore how to share the story. What is the best and most affordable way to reach your audience? What is most likely to read and enjoyed? Finally, investigate the chosen platform or method, so you know what you need to do. It is devastating to spend hours creating something only to discover a flaw in the foundation which means starting again. Knowledge is power so avoid the distress and find out the requirements before you begin. 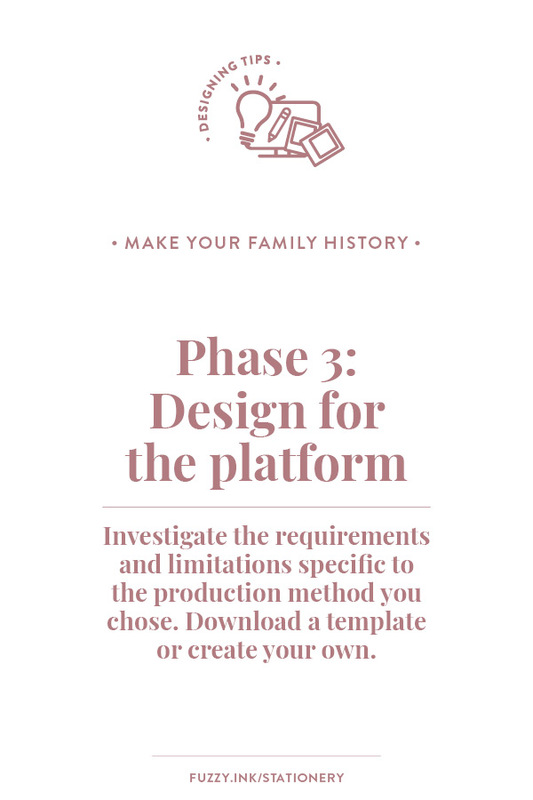 And then get creative to bring your family history to life with well-crafted stories and beautiful design. 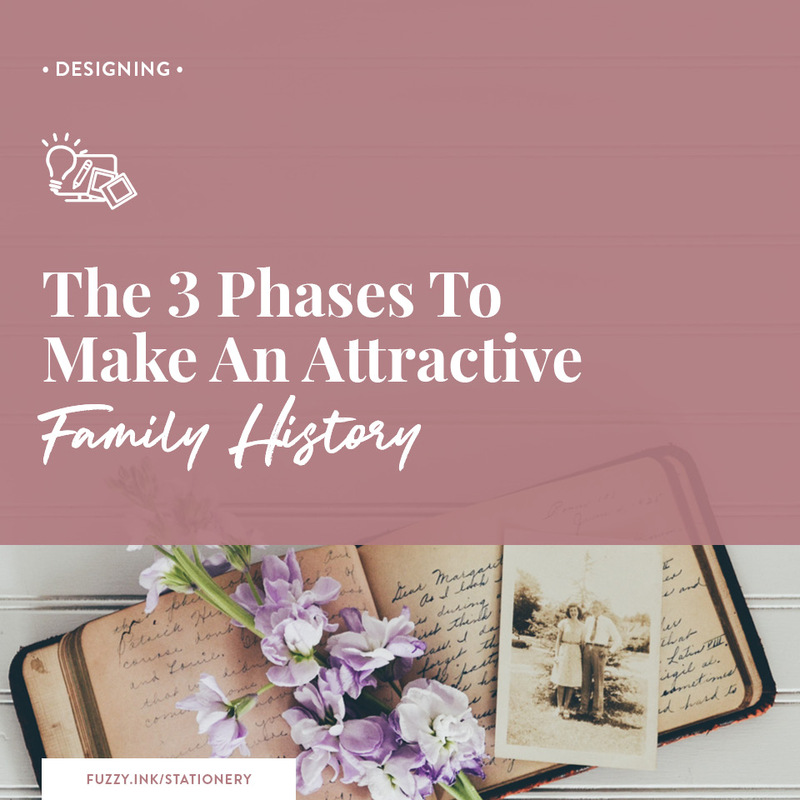 By intentionally giving each phase attention and time, you will end up with a family history that reflects your efforts. Making it so much easier to create an heirloom that the future generations will be proud to inherit. What is stopping you from writing your ancestors stories? 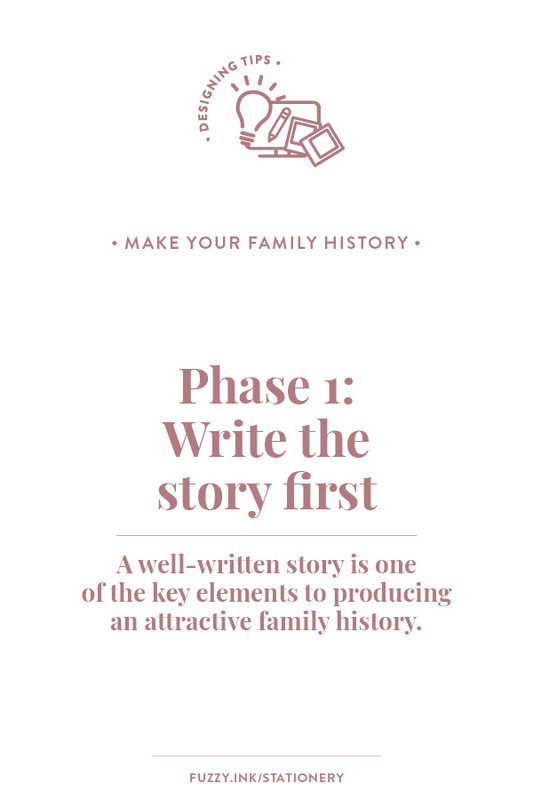 What one thing would inspire you to start writing your family history?